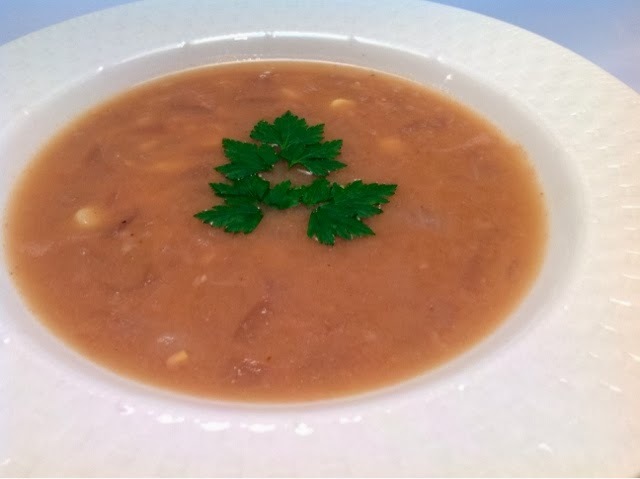 Winter is the perfect time to eat a nice hearty soup. I created that soup yesterday when outside temperatures dropped to 25F.! Brrrrrrrrr....cold! My kids loved it, and ate it all! I roasted the chestnuts myself, but you can certainly buy the vacuum packaged ones, It's easier. In a cast iron pot add the olive oil, chopped onion, garlic, salt and pepper. Sauté until tender. Then add the parsley root and chestnuts, sauté for a couple of minutes, and then add the corn, water, soy sauce, and bring it to a boil, then lower to simmer, add coconut milk and cook for 15-20 minutes.